Although, vetting the art of lucid dreaming takes time, yet, it doesn’t mean you won’t see improvements anytime soon. In a matter of days, you will find yourself advancing through your journey, and it will encourage your motivation. Still, don’t enter with a wrong mindset of inducing lucid dreams right tonight. In short, if you are persistent enough, the rewards and benefits are worth it. Lucid Dreaming is a state where your dreams are so real as if you are living them in real life. There is almost no difference between the dreaming state and a conscious experience. You can touch, smell, and feel the objects in your dreams the same way as you would do in real world. Plus, you can take it to the extreme and alter those objects with your brain power even. Sky is the limit. You can do anything in your dreams that is otherwise impossible in reality. The laws of the universe such as gravity, not able to breath in water, can’t survive in the space, etc. doesn’t apply in the world of lucid dreaming. Sleep paralysis is another fear of lucid dreamers. You are in a state of dream and awakening. During dreams, the body gets paralyzed so that one can’t hurt himself acting out his dreams. But if you experience the paralysis in an awakened state, it may frighten you. Convince yourself, it is just a dream and sleeps paralysis is entirely okay. Lucid dreaming is a safe, fun, and joyful experience for most people. Moreover, there are therapeutic uses of this technique. Still, if the risks are scaring you, don’t jump into it. For some real life case studies, I suggest you read this article. Very Important: In a nutshell, you must ensure, you are getting a good 7-8 hours of sleep so as to hit REM-Cycle and experience lucid dreaming. If you have trouble sleeping, use this comprehensive guide on how to fall asleep. Also, make sure you don’t snore while sleeping. If you do, here’s how to stop snoring. Lucid Dreaming is a mind game. If you carry on your day to day confusions and doubts to your sleep, the same will ruin your lucid dreaming experience. You need to cultivate your mind & mindset to induce lucidity. Here’re 2 important rules that you should tell yourself repeatedly every day. Inducing lucid dream, for the first time, is a powerful experience. Often, it brings about a feel of anxiety with it. The dreamer gets so overwhelmed that he is unable to decide what to do once he is lucid. I don’t want that happening to you. The solution is planning for your dream in advance. Try crossing your finger through your palm. In a real world, you can’t do it, but it is possible if it is a dream. Try reading something. Dreaming is done by the right brain but reading by the left brain. So, you can’t read with ease if it is a dream. Observe the objects carefully in your dream. They won’t be as accurate and detailed as they would be in a real world. It is the best technique for beginners as its the easiest one. But don’t do it often as you have to interrupt your sleep and it may affect your health. Doing it a couple of times a week should be fine. With WILD technique, the trick to induce a lucid dream is different. Also, you don’t stay awake for 30 minutes but a couple of minutes. Instead of rehearsing a dream by reading it or reinforcing your last dream, you practice visualizing a dream of your choice. Remember the visualization should be highly detailed and vivid. Each and every object, environment, character’s emotions, and your role should be visualized in great detail. It is the most difficult technique to master but worth it. Lucid dreaming is not just a hobby or fun. It is a higher mental state that can’t be mastered easily. It helps you advance in your spiritual journey by taking you to some new heights of awareness. So take it seriously and be ready to put in work. Unfortunately, the newbies are tempted to the shortcuts or quick methods. As a result, they can’t stick to one way and therefore fail miserably. Remember, lucid dreaming demands physical and mental development and this development takes persistence, time, and efforts to happen. 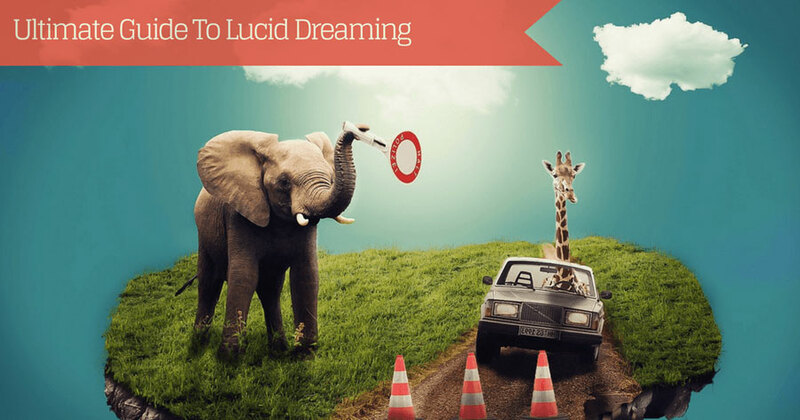 BeddingPal advises you to proceed with your lucid dreaming journey, but by one step at a time. Otherwise, you will fail to crack the code. Good Luck.